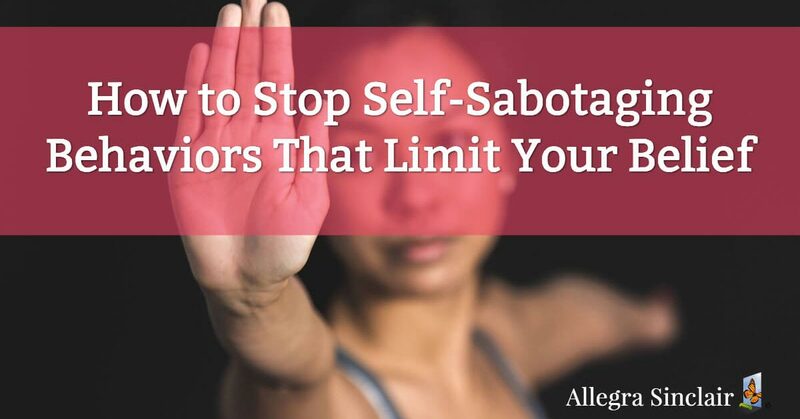 Do you find yourself repeating self-sabotaging behaviors that limit your success? Even when you have identified them as barriers to reaching your goals? 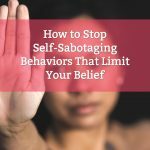 Are you ready to stop your self-sabotage in favor of a different plan and greater satisfaction? The first step to the success you deserve is being able to recognize the limiting beliefs that stand in the way of your success. Once you do, you can banish those limiting beliefs in favor of more empowering ones. 1. Settling for less. Settling for less than your best causes you to stop short of unleashing your full potential. Sometimes you settle for less because you’re scared of encountering failure. Other times, you settle simply because you lack awareness of your own strength. Test your strength by going out of your comfort zone. Face your fears, because more often than not, your fear is the only obstacle between you and ultimate success. 2. Expecting too much from others. When you automatically expect help from others, or anticipate that others will bail you out of a tough situation, you’re expecting too much from them. You are only responsible for yourself. Even if your friends and family have helped you in the past, they may choose to let you fend for yourself this time around. That is their right so be prepared to suffer the consequences of your actions and clean up your own mess. Choose a more sensible path that takes into account that your journey may not be a straight line. 3. Feeling sorry for yourself. If your current situation causes you to feel like something’s missing, change your circumstances. Instead of dwelling on what could have been and focusing on the unfortunate hand you’ve been dealt, find something to learn from every experience and focus on solutions, instead of problems. Your success is your responsibility. Hold yourself accountable for your results and allow unfortunate situations to steer you toward success, instead of deterring you from achieving your dreams. By viewing situations through this lens, even your biggest challenge will be seen as better than not attempting anything new. 4. Failing to develop a Plan B. If your initial plan gives less than desired results, your best chance at success is to adapt. Everyone needs a Plan B. You may feel like a pessimist by planning for an unfortunate outcome, but this planning is actually proactive. It shows your subconscious mind that you’re serious about reaching your desired destination. Ensure your financial security, mental health, and well-being by always planning for the worst while hoping for the best. If you often find yourself doing any of these self-sabotaging behaviors that hinder your chances of success, decide that today is going to be a new day. The important thing is that you recognize the thought patterns and behaviors that limit you and head in a new direction that results in more success. You can replace what one of my mentors calls ‘stinking thinking’ with a productive, solution-oriented focus that reminds you deserve the success you seek. When you do, your success is inevitable. Do you have other examples of stinking thinking? How do you get past it? Let me know in the comment box. I hope you’re having a POWERFUL week! 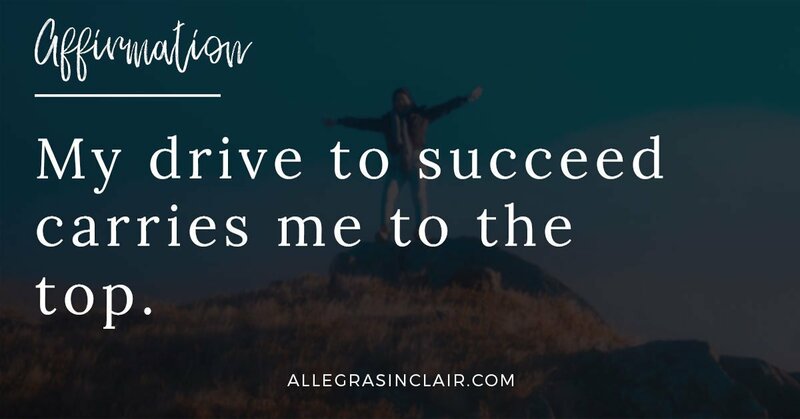 Previous Post: « Affirmation: My drive to succeed carries me to the top. Great information here. In the end knowing that we know everything we need to have a great life, and following that implicitly is the way to go. When Oprah visited Australia recently, she went on a harbour cruise with Russel Crowe, who told her some years ago she said to follow your hunches. 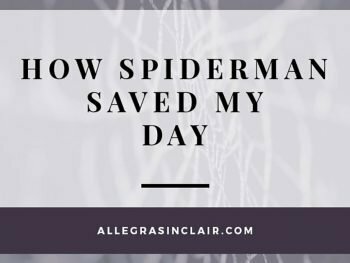 He did, and ahs become an academy award winner! The answer to everything – trust yourself!! Self sabotage is something I am all too good at! 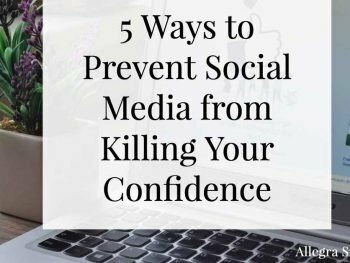 Great pointers here, Allegra… especially #1 and #3. In my experience, if you have a burning desire, an excellent plan, and a mastermind group of mentors who help you “plan, do, review, adjust”… you don’t need a back-up plan. You adjust Plan A so it’s even better. That’s what Napoleon Hill means by burning my bridges behind me. Now to apply that same principle to a few other areas of my life, and it will help clear the way so I can do my business even better! Feeling sorry for yourself holds so many people back. We definitely have to ‘get over’ that one. I agree with Oliver about Plan B. Now, maybe I need to alter my plan of attack, but there is no plan B for me. I buried my “I Can’t”. My only plan is for success. I may not get there in a straight line, and that’s OK.
thanks for sharing your insights. Settling for less is the worst thing we can do because we will never be able to motivate our subconscious mind. It knows immediately that we are underplaying and stops supporting us. Chances are it will sabotage us. A vicious circle of feeling sorry for ourselves and denying responsibility, as you note, starts. I enjoyed this post, thanks again for sharing. Thanks for your feedback. I agree with your point about personal relationships and commitments. I was speaking more about business and professional back-up plans. However, I will say that even in relationships it’s ok to consider how you will live without the other person in your life.